Good news for Android lovers! On September 29, 2015, Google confirmed that Android Marshmallow will start rolling out in the new Nexus devices that will be Nexus 5, Nexus 6, 7, 9 and Nexus Player from Monday the October 5th onwards. Note: keep an eye on the latest updates if you have any of these mobile devices. App permissions have been simplified in the latest version. Permissions are now requested as you start using a feature instead at the point of installation. A practical demonstration was provided using WhatsApp in which the app will prompt you with a one-time request for permission to use your microphone, thus Android Marshmallow gives greater control on the information that apps can access. Google has been continuously working on the better web experience for users and by introducing a ‘Chrome custom tab’ in the Android M; it harnesses the browsers capabilities while providing increased control. In Android M, chrome custom tabs will open chrome window on top of the active app, instead of launching the chrome app altogether. This in turn makes the experience faster and more intuitive when switching among apps. The standardize support of unlocking through fingerprint will be provided to not only lock the phone but also make transactions for example, online shopping within a playstore application. More attention to detail has been provided in the Android m. You must have experienced the open with dialogue box as you try to open a media file but in the new Android M, the operating system is made more intelligent that it will automatically determines what is the best app for the file to open in. You might get to miss this detail in a blink of an eye but it surely does acknowledges the attention that Google pays to the user experience and advancements made in this regard in every release of the operating system. All of us hate when our phone batteries runs low and require charging on specific intervals due to the heavy usage of apps. The good news is, Android M will provide better backup of mobile battery, up to twice as much long. The tests were conducted on phones with Android M and Android Lollipop in them and M lasted twice long as lollipop. The mentioned features are only the few along many that the new Android M has to offer to its users. Some of the major ones include but are not limited to improved copy, pate and share, auto backup of apps, Google now and an improved voicemail service. Android users are on a definite turn to experience the ease and conveniences Marshmallow will bring to them. 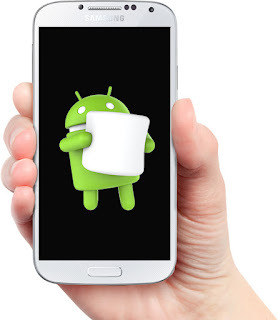 Android Application development companies should also keep in mind the latest and should update their knowledge accordingly so as to provide the users with the same cutting edge mobile applications as par to the convenient and latest Android Marshmallow. Michael Thomson is brand managing Amaxza Digital. He occasionally writes about the latest happenings in the mobile application development industry and is peculiar about the android application development companies and their advancements. Amaxza digital is one of the leading mobile application development company that are working on app development on both Android and iOS platforms.